Jodie Kemp is an REC accredited, llead consultant with 7 years experience within the Social Care sector. Since joining Compass Associates in 2011 Jodie now leads a team of consultants within the Elderly Care Home Division. 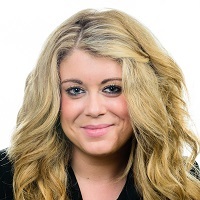 Jodie has an established track record and is well connected within the North East enabling her to thoroughly outline briefs to her candidates and to represent her clients in a professional manner. Jodie recruits Director through to Home Managers within the North East and Yorkshire Regions. From start to finish the experience with Compass Associates and especially with Jodie Kemp have been amazing; so friendly but at the same time so professional and efficient. I sent my CV at the same time to other agencies who also contacted me but did not inspire me to choose them as much as Compass did. Jodie knew exactly what I was looking for and thanks to her I am starting a new job with a company I feel very lucky to be working with. I would not hesitate to recommend Compass Associates to anyone looking for a new career path. Jodie has been fantastic from start to finish. Her patience and understanding has been wonderful. This is the second time Jodie has assisted me in gaining employment, I cannot commend her enough. I have worked with Compass Associates for the past 18 months. Jodie has a high level of integrity as a recruiter and always takes time to fully focus on our vacancies, putting forward only those candidates who closely match our requirements. I would have no hesitation in recommending Jodie and Compass for their excellent candidates and services. I have been working with Jodie extensively for just over a year and I am delighted to have her supporting our business. Jodie has consistently provided our business with high quality candidates for a variety of roles, whether operational or clinical, with great success. I trust her judgement on personal fit with our organisation as she understands our culture and business journey and uses this intel to closely match and shortlist candidates. My experience with Compass Associates has been fantastic. From the start Jodie Kemp was nothing but supportive. She not only made me feel at ease but supported me right from the initial application. Jodie was professional and friendly, she provided guidance and reassurance when I needed it. Communication is key and this was evident throughout the process. I cannot thank Jodie enough.